The Austin Transportation Department (ATD) is proposing changes to Shoal Creek Boulevard from 38th St. to Highway183. The changes are intended to increase the safety and mobility of everyone using the street. 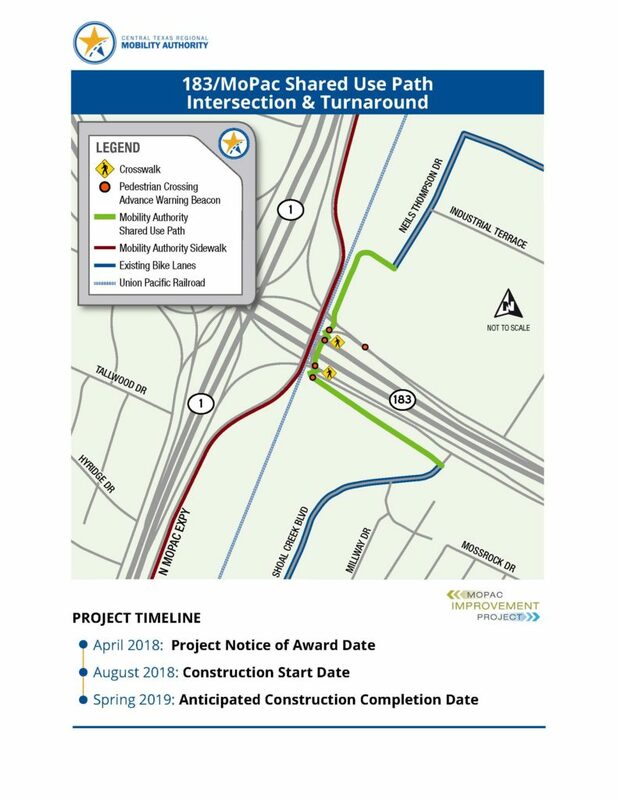 In December 2018, ATD staff held open houses to gather input; in March, staff held open houses to publicize the options they developed. These options, along with a survey, are now online at the project’s webpage, www.AustinTexas.gov/ShoalCreekBlvd. The Entrance for the event will be off of St. Elmo Road. With the awareness of identity theft, it is important to carefully dispose of personal records including financial and medical. Austin ARMA, along with Shred-It, are sponsoring the 14th Annual Free Spring Shred Day. 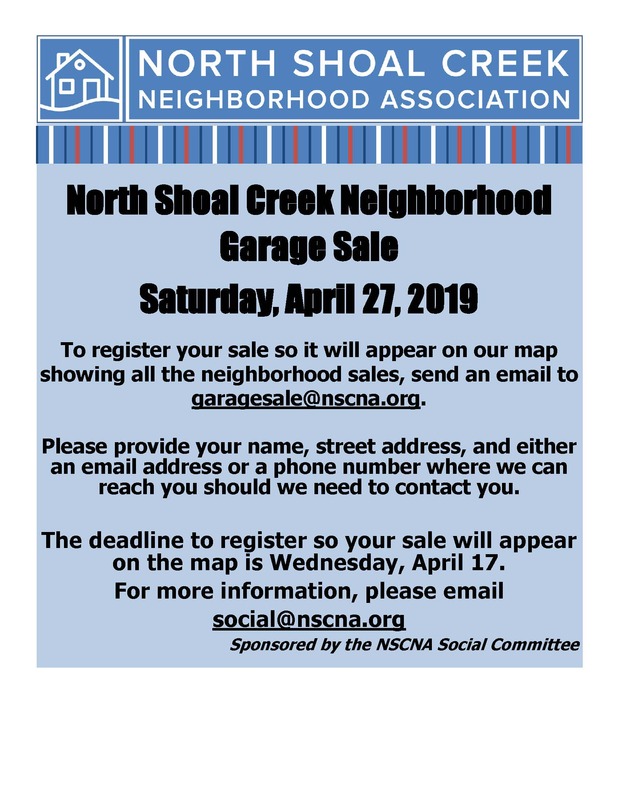 REMINDER: ARE YOU HOLDING A GARAGE SALE DURING NORTH SHOAL CREEK’s ANNUAL GARAGE SALE DAY? TUESDAY, MARCH 5, 6:30-8:00 P.M.
Would you like a free tree delivered to your home? If you’re an Austin resident or an Austin Energy customer, you can sign up for our NeighborWoods program and we will deliver a tree directly to your doorstep by the end of March. The North Shoal Creek Neighborhood Plan Contact Team’s first quarterly meeting of 2019 is Thursday, February 14, from 6:30 to 7:55 p.m. in the First Texas Honda Conference Room*. The agenda for the meeting is posted below. Once the shared use path is open, walkers and bikers will have access beneath 183 to Neils Thompson Road and areas north. NSCNA thanks the Austin Parks Foundation for awarding us a Community Grant to build a community garden. 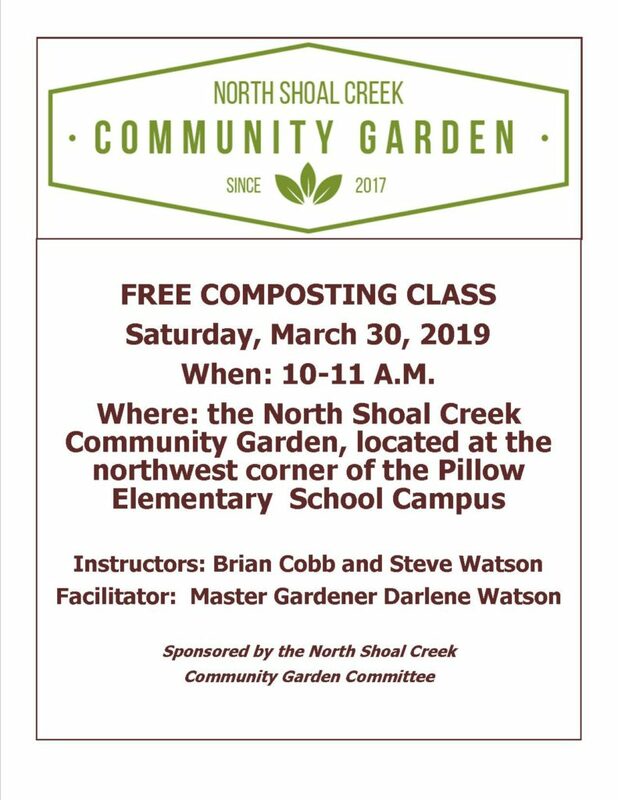 We also thank the Sustainable Food Center of Austin for partnering with us on our project, and the City of Austin’s Sustainable Urban Agriculture and Community Garden Program (SUACG) for their help and support. Thank you all very, very much!